Our Jane Austen festival dresses and bonnets arrived this week! I ordered the girls each a dress in the same pattern but in different colors and a poke bonnet to match. I am going to spend the next few weeks embellishing the dresses with some beading or lace or ribbons. Meanwhile, my eldest daughter is in the United Kingdom right now with her church handbell choir on a concert tour. A few days ago, she played at a church situated about two miles from Bath, where Jane spent five years of her life. Though Jane did little writing while in Bath, and stated she did not like the resort city, it’s clear she took notes on the people she met, and blended characteristics of their personalities into her more interesting characters. Lily told me she could see why Jane loved to go for longs walks in the country-she says the scenery is gorgeous. This is the church in Bathford, a little village two miles from Bath. 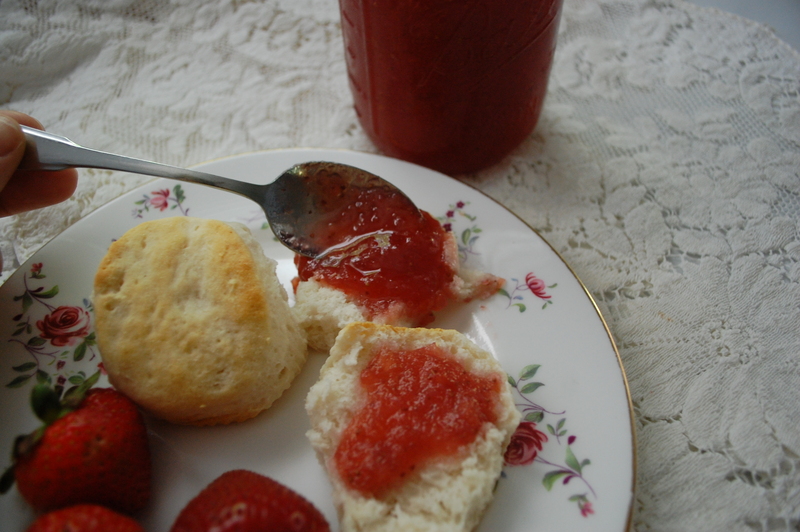 My ongoing Jane Austen recipe series continues with a gem that I have been dying to make ever since I spotted it in The Jane Austen Cookbook by Maggie Black and Deirdre LeFaye. For children, a cheap preserve. But delicious! Those pears were on their last day. I did not can these-although you can to preserve them longer. I merely put mine in canning jars and set them in the very back of my refrigerator, where they lasted for several months! • 2 pounds of fruit-strawberries, blueberries, raspberries, apples, pears, peaches, plums, currants, or gooseberries in any combination you like. 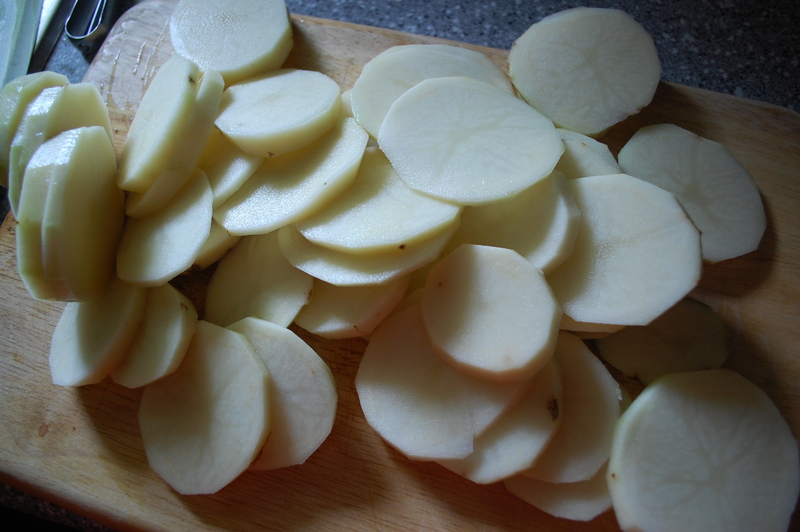 Remove the skins off any fruit like apples, pears, peaches or plums by peeling or blanching. To blanche, boil a saucepan of water. Drop the peaches or plums, one at a time, in the water and count to ten. Remove and put the fruit in a sink of ice water. After about a minute, the skins on the fruit should peel right off for you! 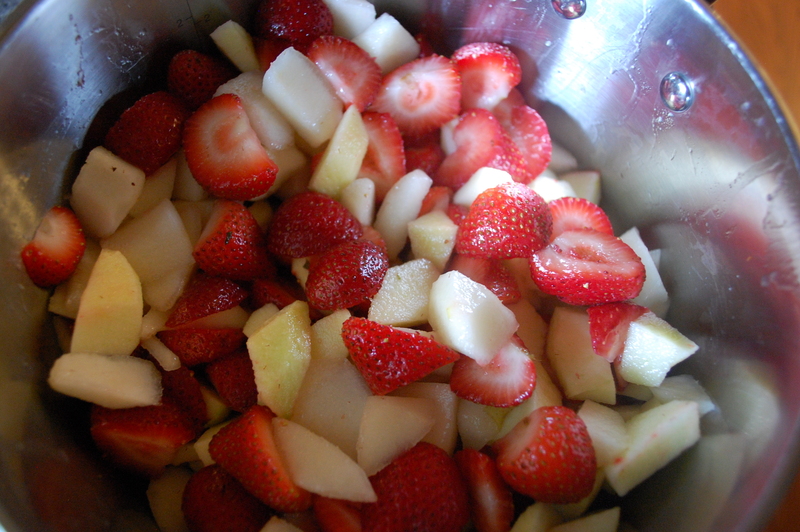 Chop fruit into small pieces. 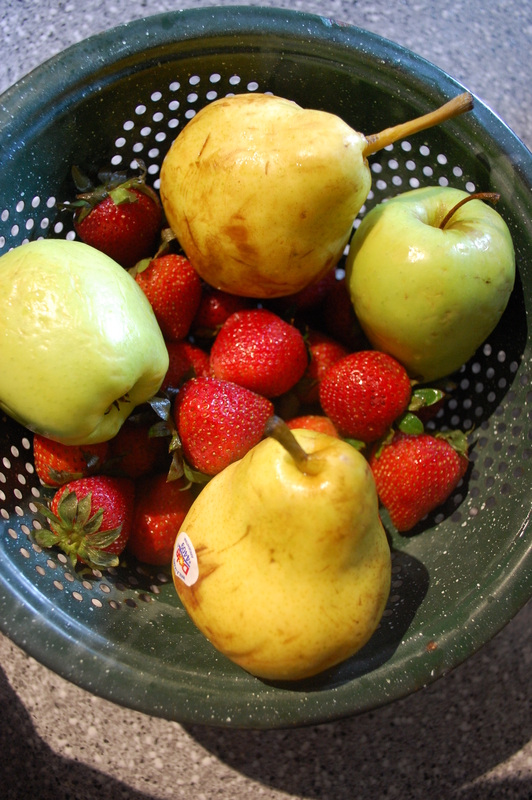 Place all your fruit in a large saucepan. Mix in the sugar. Cover, and heat the mixture slowly to a boil, stirring frequently. Cook on medium heat for about 10-15 minutes until the fruit is soft, stirring frequently. Take the mixture off the stove and let cool for a bit. Pour into a blender and pulse for about 10 seconds. 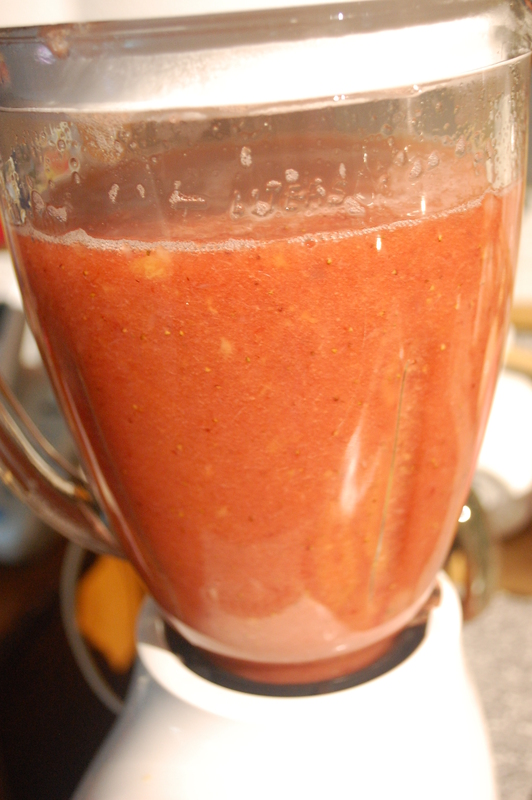 The preserves in the blender. 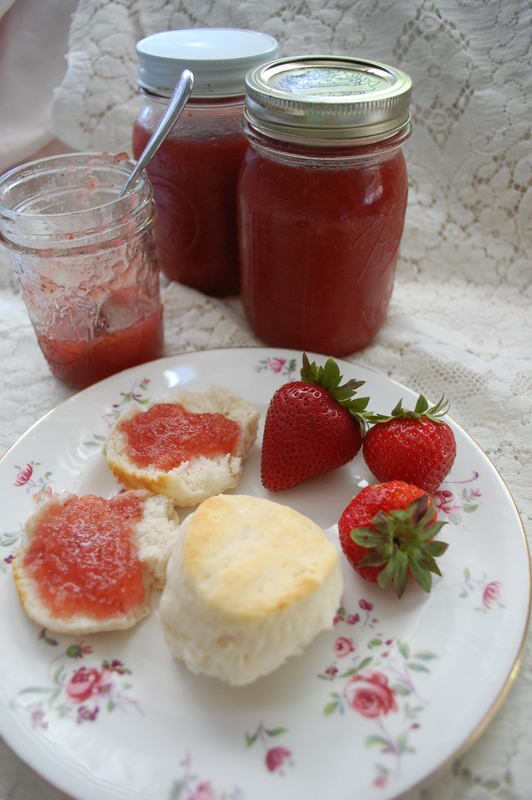 Pour the mixture into your containers and can or refrigerate! I got two pints and a half pint container out of two pounds of fruit. You can see we had nearly finished the half pint by the time I got around to taking my beauty shots. When I tell people about this blog, I often get asked the question. 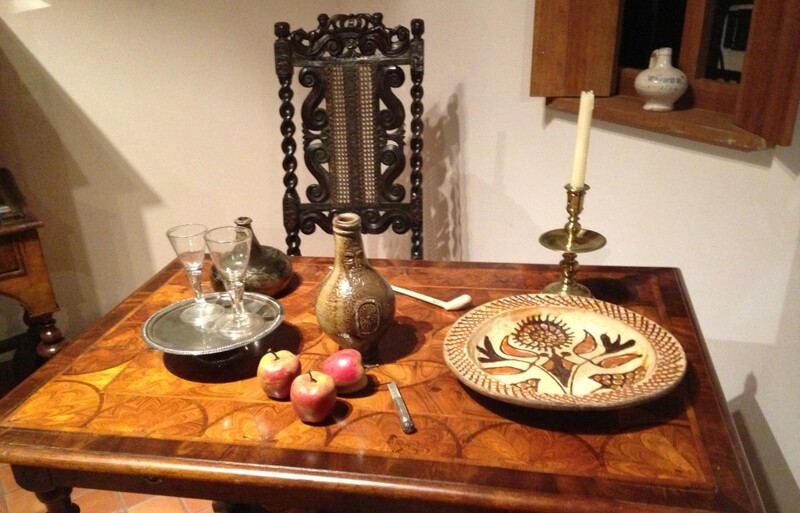 “How much has food changed in the last 100 or so years, really? I mean, aren’t we eating the same things we’ve always eaten?” The answer is a big, old, resounding *no*. And for one of the best examples of the change, you can look no further than dessert topping. Yes, dessert topping-known in modern times as Cool Whip or Ready Whip-was not always the mild, smooth, slightly vanilla-tinged compliment to jello, pudding, or ice cream. Oh no, my friend. In the days of Regency England and Colonial America (think late 1700’s to early 1800’s), the fruit and desserts in homes from the middle class to the rich were graced with a whip cream that was on a whole other, magical level. They fortified it with lemons and wine. That’s basically what separates our modern-day whip topping from Syllabub, a concoction that sounds more like it belongs in a high school English class than on a fruit salad. But trust me, your world is about to be rocked. 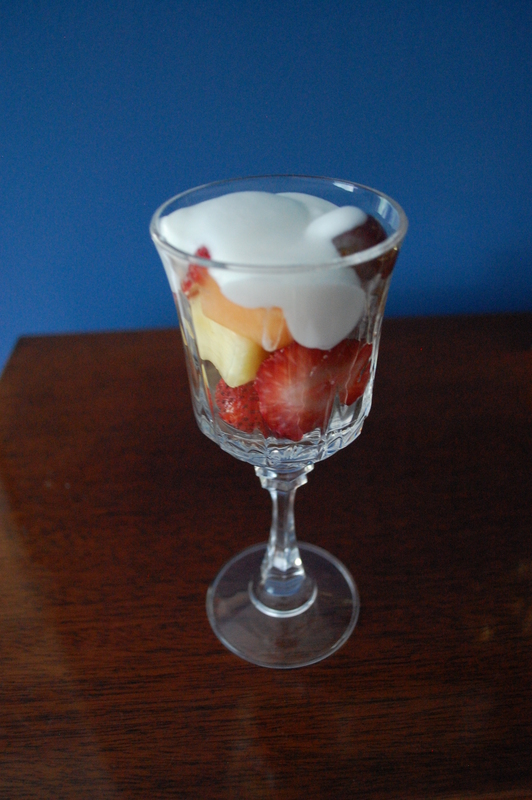 I first heard about syllabub while reading Jane Austen. The girls and I are just weeks away from attending the Jane Austen Festival, put on by the Greater Louisville chapter of the Jane Austen Society of North America. This will be our second visit to the festival-and this year we are going all out with our costumes and plans. To say that we are getting excited would be a gross understatement. 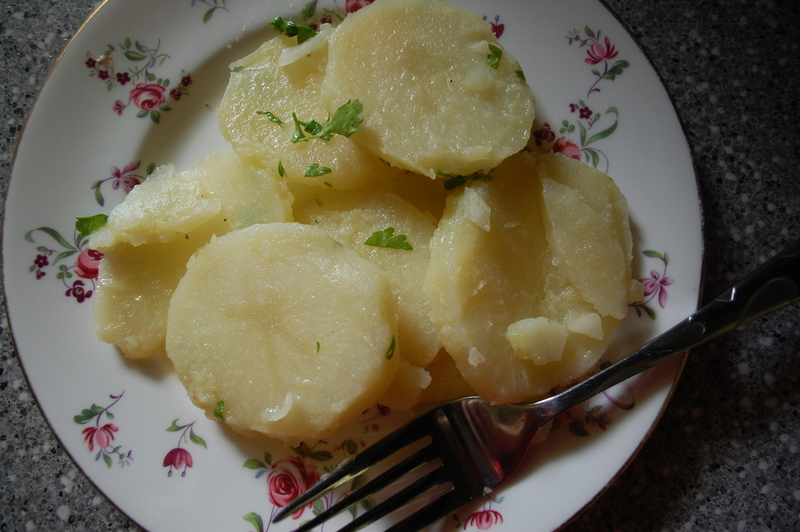 I thought this would be the perfect recipe to launch a few weeks of pre-festival recipes, focusing once again on the food of Jane Austen’s lifetime, as I did last year. 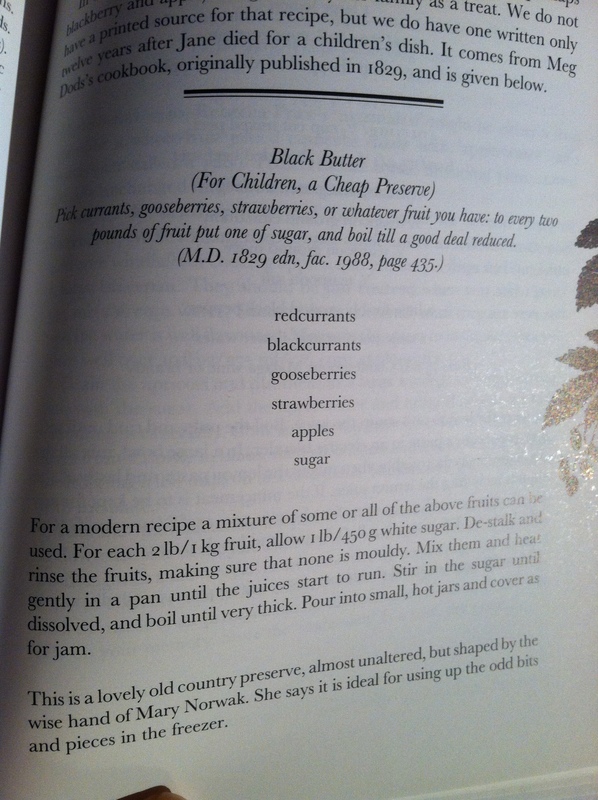 This recipe comes from Directions for Cookery, in its Various Branches, published in 1840, which is a few years after the Regency Period ends but this is the same recipe I found in cookbooks published within that formal period and it is easy to replicate. I served this to friends at a get together, and it got rave reviews. It makes a HUGE bowl full-so don’t double it, because I served nine people and I had enough left over for many more. You can eat it on top of fruit, or pound cake, or plain, like pudding. 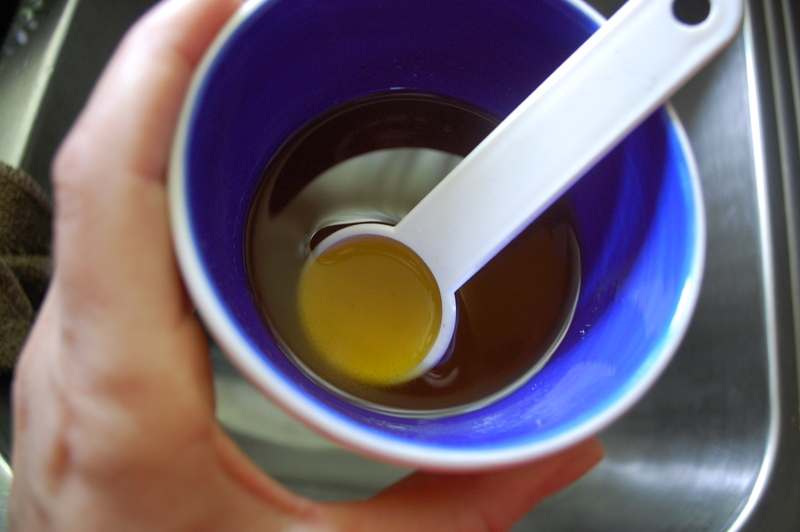 The rind of the lemon will infuse the liquid with more tartness. 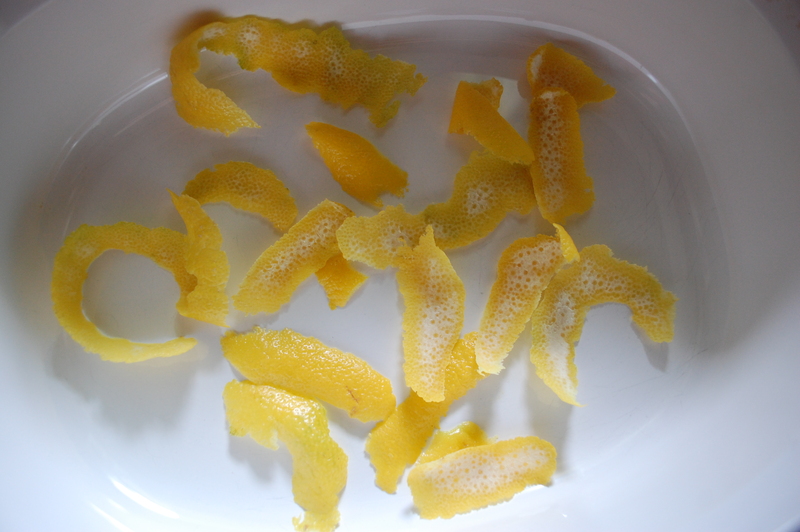 Peel the lemon rind off the lemons and place it across the bottom of a casserole dish. Then juice the lemons. 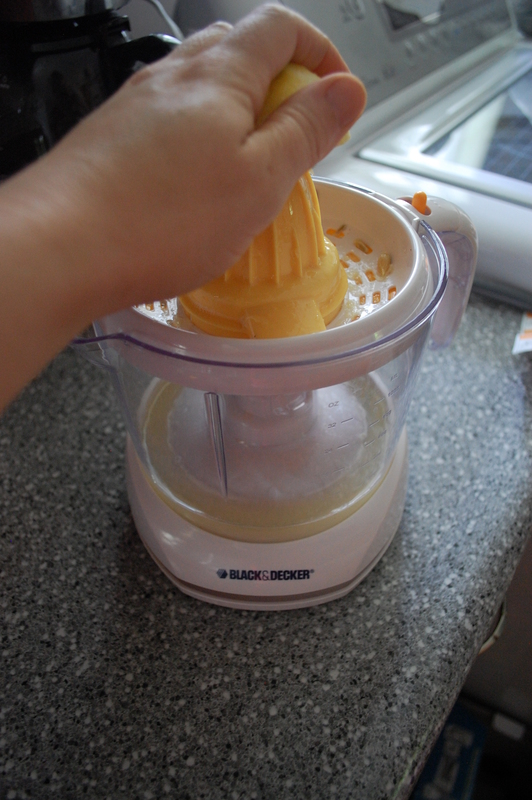 Thanks again to my parents for my lovely citrus juicer, which makes quick work of lemons but sounds like a table saw! 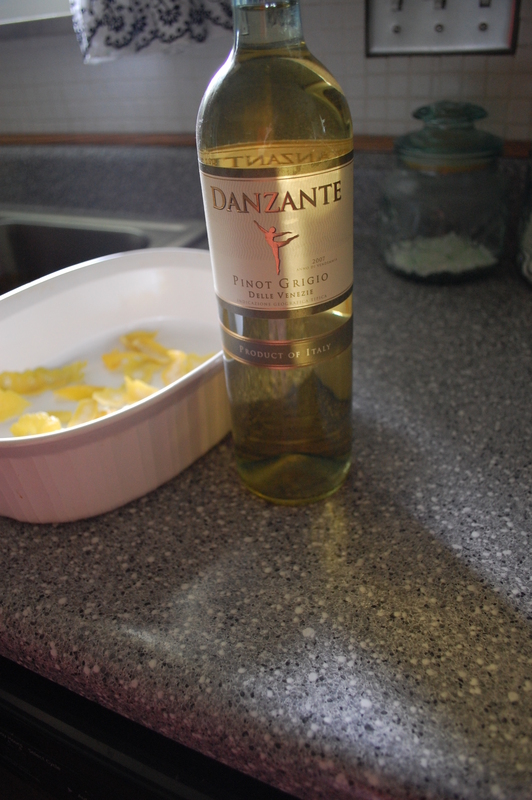 Using a mixer, combine the wine, lemon juice, and powdered sugar. Then add the whip cream, a little at a time, until it’s all combined well. 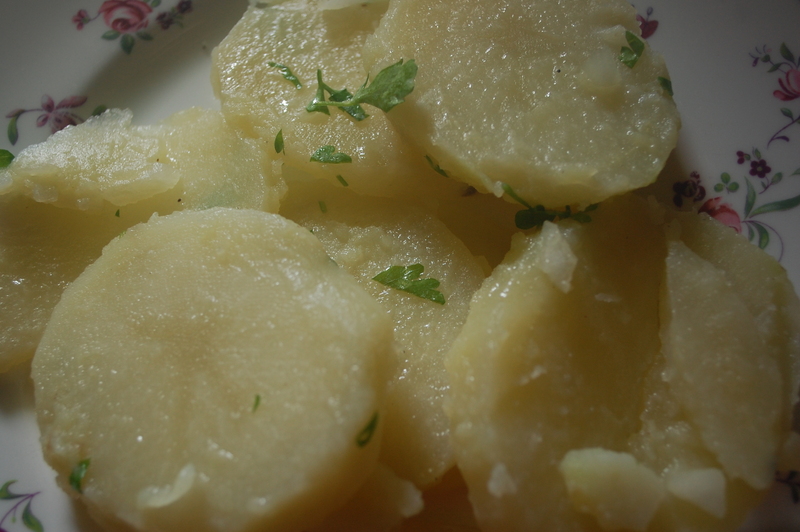 Pour the mixture into the casserole dish with the lemon rind, cover, and refrigerate for at least three hours. Chill your mixing bowl. 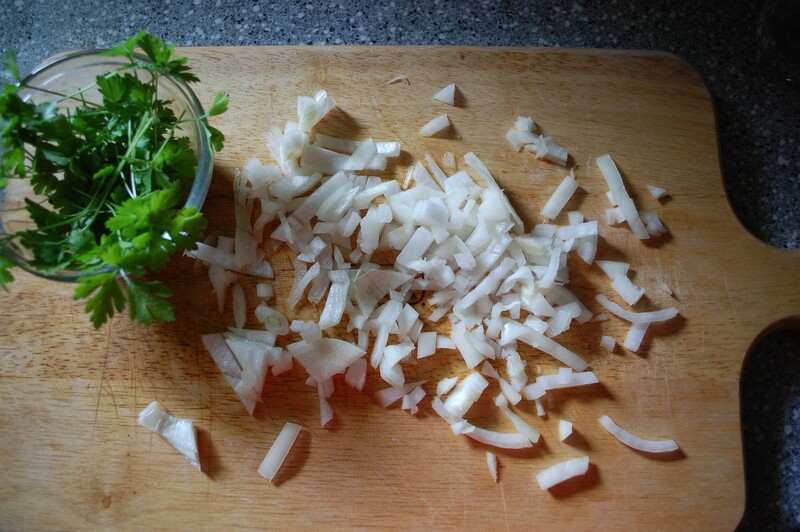 In this step, you letting the flavors have a chance to really marinate together. 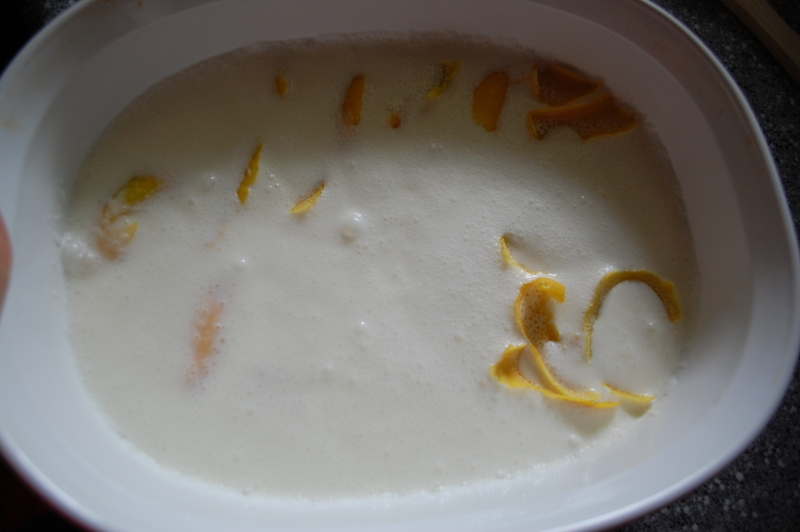 When you’re almost ready to serve, remove the lemon rinds and pour the liquid into the mixing bowl. Whip on high until it makes a stiff froth. Mine took about 15 minutes. It was really, really, really good. Why did this go out of style? 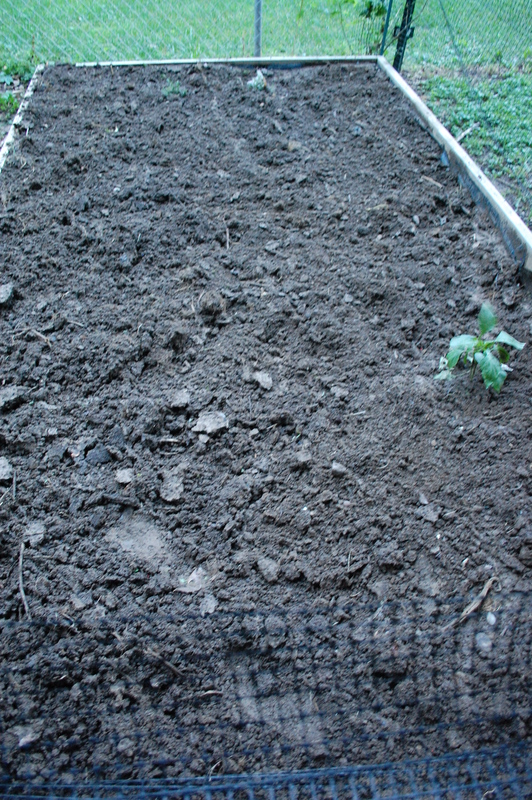 Vintage Garden Project: The Garden is Attacked! I went on vacation. It was the perfect trip. We spent a week in the Outer Banks of North Carolina-where I got tanned and rested and picked up a few recipes to share with you later this summer. 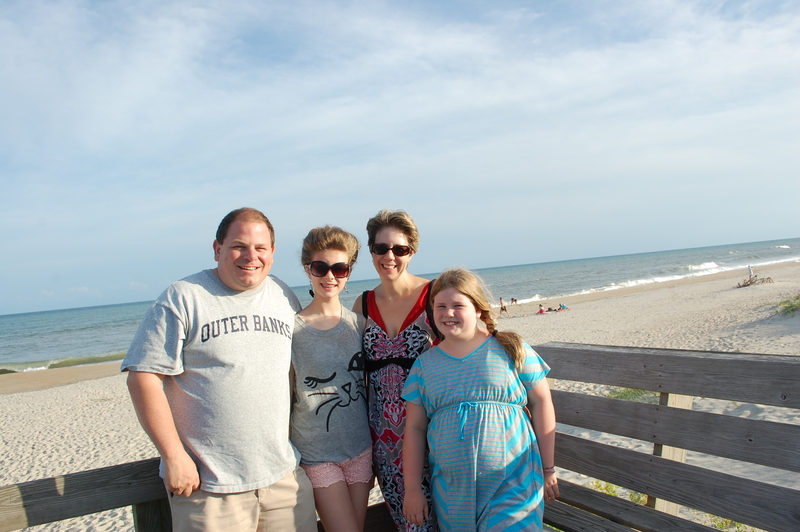 We even weathered Tropical Storm Andrea and were none the worse for the wear. I had two worries that nibbled at my brain while I was away-one was the welfare of my dog, who turned out to be having a fabulous time with her dog sitter. The second worry was my garden. Planted only a week before I left, I worried it wouldn’t rain enough-or would be too hot-or would be invaded by a variety of wildlife which makes its home in the wooded creek behind our property and under our shed. Turns out, I had reason to worry. When I came home, I was greeted by a horrible sight. 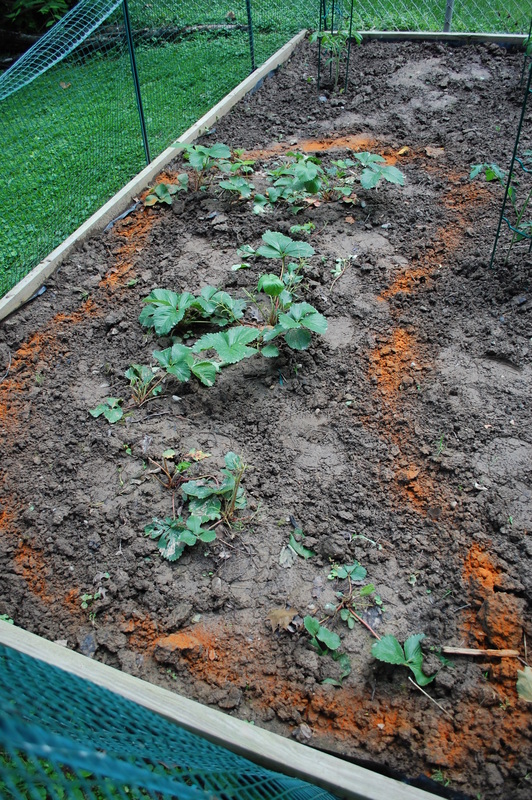 ALL of my cabbage plants had disappeared. No trace of them whatsoever. Gone from the face of the Earth, as were my dreams for testing vintage coleslaw. Dead space where my cabbages used to be. The pepper plants and rosemary remain untouched. I also lost an eggplant. What eats eggplant? 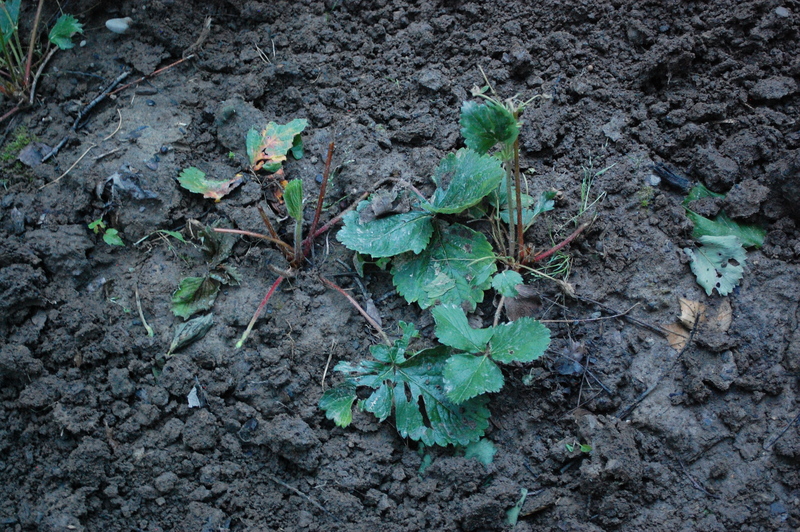 The most upsetting loss to me was my strawberry plants. When I left, I had more than a dozen little green berries and lots of shoots. When I came home-all the berries were gone as were half the shoots. It even looked like something had shredded the leaves off one of the plants and carpeted the garden with them. See how the stems are chewed off on half the plant? My vintage garden books are no help in this matter. They suggest a variety of sprays to rid plants of pests-including kerosene and arsenic. No thanks. There is one method I read about a long time ago-and which I have used in the past, with some success. Cayenne Pepper Powder-what I like to affectionately refer to as “The Ring of Fire.” I buy a 16 ounce jar-or three or four of them for the whole summer-and I sprinkled a good line of it around the affected plants. It usually keeps the animals away-they hate the smell and taste of it. The problem is that you have to reapply it every time it rains or when you water. The ring of fire! Stay out, pesky beasts! I’ve also tried planting marigolds around my garden. Rabbits hate them and one year, when I was without a fence, I made a ring of marigolds around the vegetables and I kid you not, nothing was eaten. I got out the Cayenne Pepper tonight. I sprinkled it. 30 minutes later, it rained. I think I’m going to go invest in some marigolds. And some netting. And some new plants to replace the cabbages. I’m taking suggestions.